Product prices and availability are accurate as of 2019-04-21 14:47:03 MDT and are subject to change. Any price and availability information displayed on http://www.amazon.com/ at the time of purchase will apply to the purchase of this product. When a train of toxic chemicals is derailed near an area populated by African-Americans, causing a poisonous explosion that kills hundreds of residents, Juliana Del Rio of the EPA and Sean Ryan of the FBI must team up to unearth the culprits. 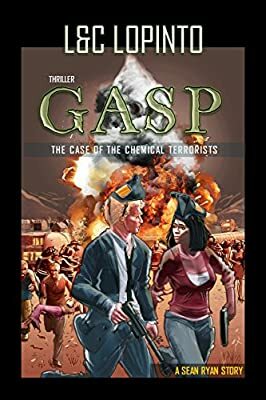 Infiltrating hate groups and an environmental conference in Argentina, they seek to discover who is causing suspicious chemical accidents worldwide, before the death toll mounts further. Having survived the previous adventure in Alaska and nearly loosing their lives and jobs, Juliana Del Rio, an EPA/FBI agent and Sean Ryan an ex-narc now working for the FBI’s Environmental Crimes Unit, are happy to work together again. Sean is slowly coming around to Juliana’s point of view and has embraced his new environmental assignment and kicked his alcohol addiction. He is a new man. Julie is finally getting the hang of being an FBI agent and took a new exam. They now enjoy each other’s company and are determined to crack this case. Will their new adventure lead to romance? “In writing Worst Case Scenario, the LoPintos drew on their combined experience as chemical engineers, knowing the weaknesses of petrochemical processing and transportation of chemicals. They studied at least six incidents, all believed to be “accidents” but no one knows how they happened.... “ Anne Thompson, Rocky Ford Daily Gazette.